The McGill Bookstore's textbook rental program poses a dilemma for the people running it: by saving students money, into also cuts into the profits that historically have been used to fund student programs and bursaries. Read on to learn more about the expanding rental program. For those in the know, there was little surprise last week when Apple announced its entry into the textbook market. “Textbook publishing is a bit like the Wild West,” explains Jason Kack, the general manager of the McGill Bookstore. But though this situation may be good for the publishers, the price tag for students can be pretty hefty. McGovern estimates that engineering and management students may spend as much as $1,000 a year on their textbooks, depending on the course materials that have been assigned. With this in mind, the bookstore has adopted a new program where they rent out textbooks to students at 60–65 per cent of the full price. It’s a model that is fairly common in the U.S., where there are federal regulations in place designed to protect students from excessive textbook costs, and it’s now spreading to Canada. After a pilot project last term, where the bookstore started with just six titles and a total of about 80 books, the program has now grown to 20 titles this semester, ranging from engineering to management and art history. Students are allowed to do a reasonable amount of underlining and note taking in the textbooks, and as long as they are returned on the date that has been agreed upon, there are no additional charges. Students interested in finding out whether the titles they need are available through the textbook rental program should contact the textbook information desk: texts.bookstore@mcgill.ca or call 514-398-8354. 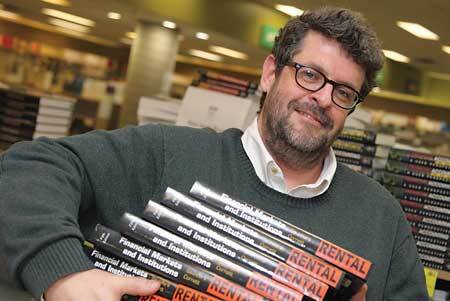 Rental texts will continue to be available until early March.